In the legends and myths of India there are a lot of different characters with a lot of heads or hands. 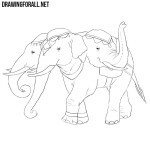 For example, in one of the previous lessons, we showed how to draw Airavata – an elephant with three heads. And today we want to show you how to draw Uchchaihshravas – a horse with seven heads. First of all sketch out a thorax, a pelvis and a line of the spine that passes into the tail. 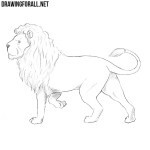 Next, we sketch out seven heads in the form of circles and necks in the form of simple lines. Sketch the legs and move to the next step. out the muzzles of the horse and the shapes of the necks. Next, connect the chest and pelvis and form the outline of the torso. 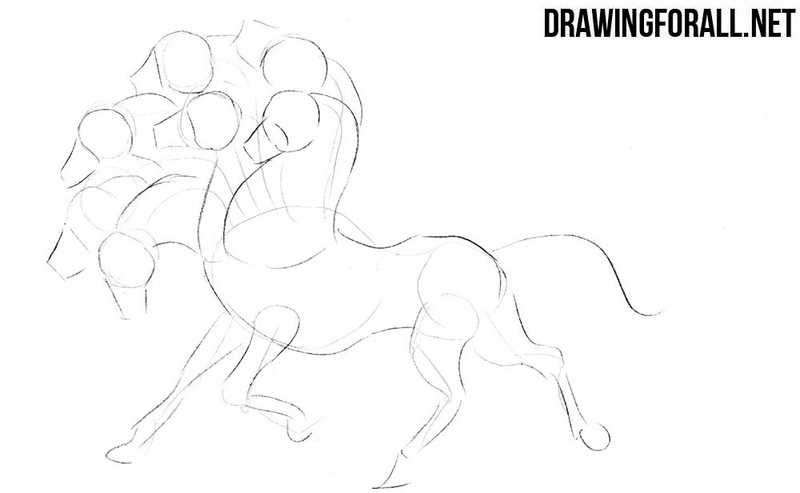 Stretch out the legs of our mythical horse as shown in our example. Let’s work with the details of Uchchaihshravas. 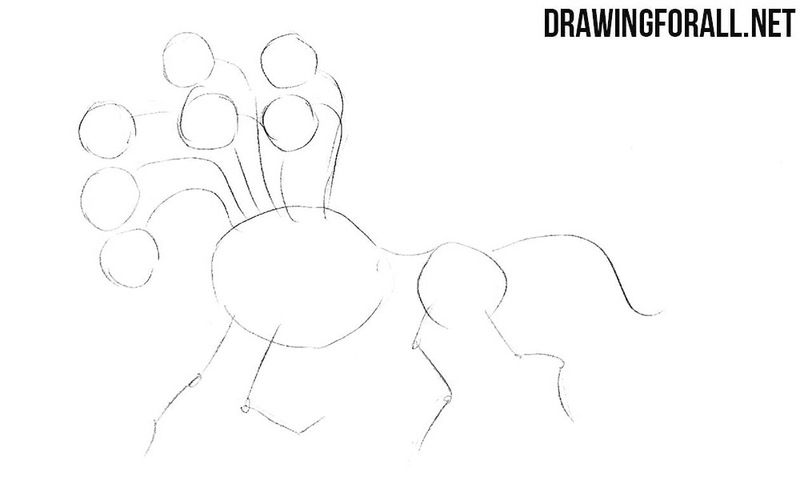 Carefully draw out the details of seven heads. 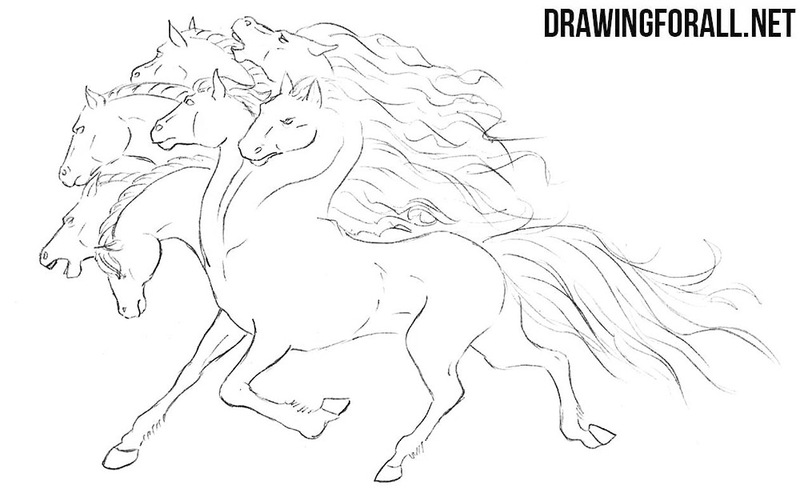 Visit our lesson on how to draw a horse’s head to understand all the details of the formation of the horse’s head. We continue to draw the details of the heads of our mythical horse. Carefully draw muscular necks and long manes on the heads. Do not forget to remove unnecessary lines from heads and necks. Move slightly below and accurately draw the chest. 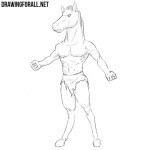 Next, draw outlines of legs and hooves of our character. Be sure to take into account the shape of the muscles and joints under the skin. Now let’s take care of the rear part of our horse. 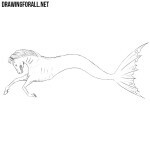 Carefully draw the hind legs and long tail. Also like in the previous step, do not forget to take into account the muscles and tendons under the skin. 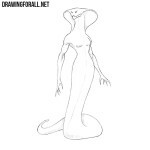 It was a drawing lesson about a very interesting and beautiful character from Indian myths. The characters of myths from which countries would you like to see on the pages of our site? 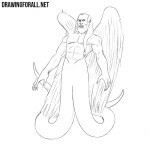 Write about this either here or in our social networks, so we created this character.